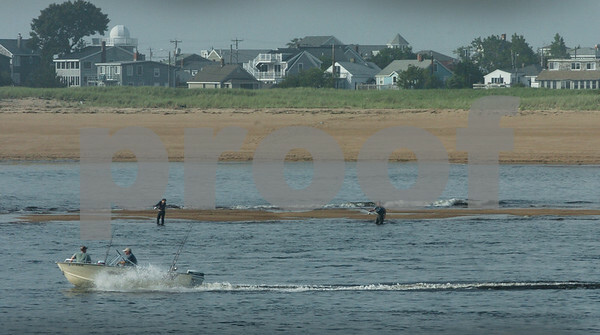 Plum Island: Fisherman head down the Merrimack River past their land-based compatriots casting on a sand bar jutting out from the northern end of Plum Island on Thursday morning. The river and ocean should be busy this weekend with nice weather in the forecast. Bryan Eaton/Staff Photo Thursday June 25, 2009.